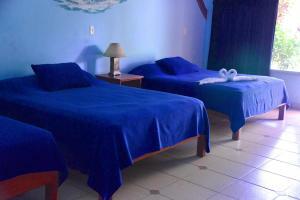 ﻿ Best Price on Residence Las Lajas in Las Lajas + Reviews! Offering a restaurant on site, Residence Las Lajas has a spacious garden and a terrace. Free WiFi is included. A flat-screen TV with satellite channels is featured in the colorful, air-conditioned rooms at Las Lajas Residence. A private bathroom provides a shower with included towels. Laundry facilities are also provided. Free parking is included. Daily breakfast is served in the restaurant that offers traditional Italian and International cuisine. Guests can also enjoy meat dishes, pastas, fresh seafood, and vegetarian dishes. Las Lajas Park is 2 minutes and San Felix town center is 7 minutes from the property. 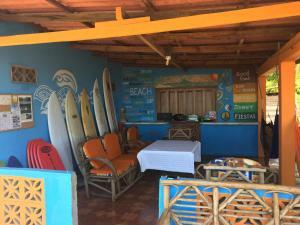 Las Lajas Beach is 15 minutes' drive away. Please note that there is a late check in fee after 20:00 of USD 10.00. Please inform Residence Las Lajas of your expected arrival time in advance. You can use the Special Requests box when booking, or contact the property directly using the contact details in your confirmation.